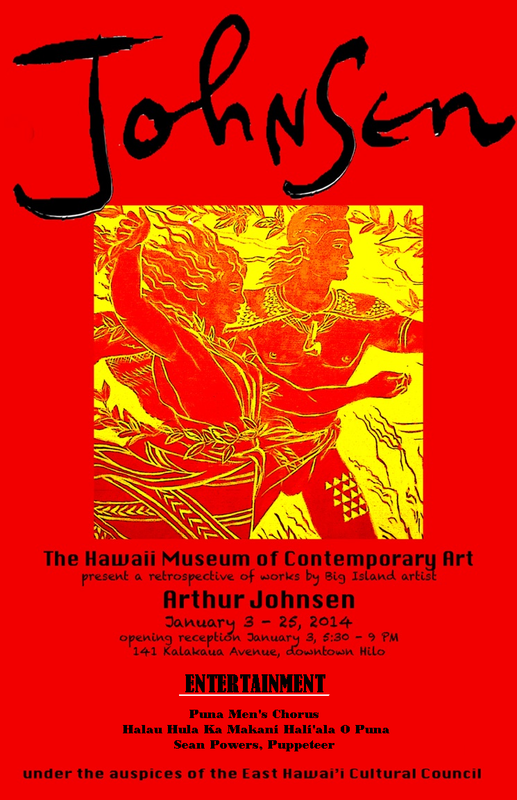 The Hawaii Museum of Contemporary Art is proud to present the work of Hawaii’s esteemed painter Arthur Johnsen. January 3rd – 29th, 2014. Opening reception runs from 5:30 to 9:00 pm, January 3rd, 2014. This entry was posted on January 28, 2014 by Hawaii Museum of Contemporary Art and tagged Arthur Johnsen, Hawaii Museum, Hawaii Museum of Contemporary Art.